I tried to take pictures of these in a department store in France and the employee made me stop and threatened to call security. Therefore I refused to buy anything. They look delicious though. 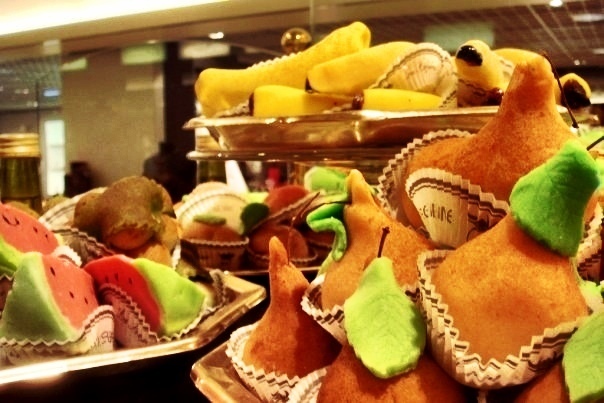 Are these pastries that are made into the shapes of fruit? If so–very creative! Yes and very creative. I would love to learn how to make them one day.